Reactable in Concert is a show to be remembered, suited for any type of venue or music festivals around the globe. We have the best Reactable performers in our team covering a wide range of styles. A performance that goes beyond the usual live or DJ set, offering the viewer an unprecedented audio-visual experience. 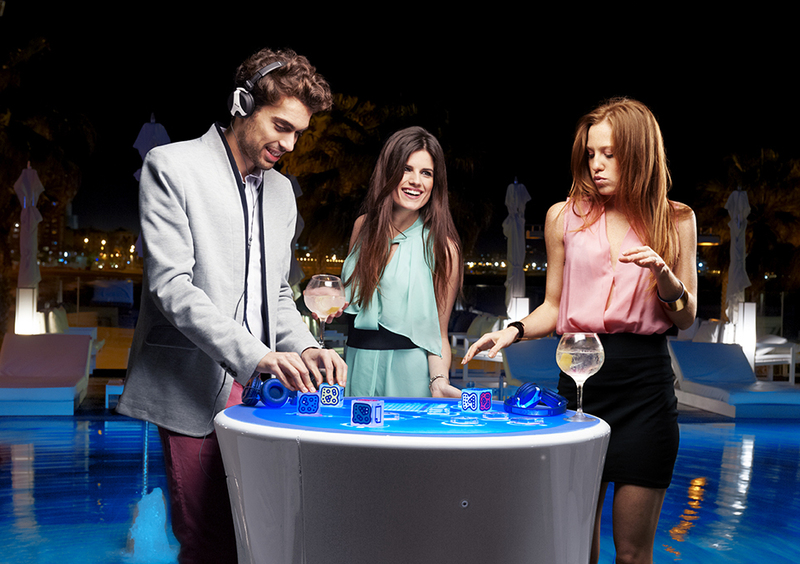 Let your guests play and engage with Reactable. The visual and tangible interface makes it a convergence point where everybody can interact, explore and create music. The Reactable demonstrator invites your guest to use and learn more about Reactable. He guides them so they can get the most out of the experience and is ready to give a short performance. Attendees will get an insight into the instrument, how the software and the hardware works. They learn how to create music and get a deeper understanding of sound generation. Reactable workshops are perfect for people interested in interaction technology, music creation and technology applications. A conference talk revolves around the reason and the process of creating an electronic music instrument with a tangible interface and how it became the Reactable as we know it. The creators talk about their experience and thoughts about the future of music creation. Create a unique Reactable event by customizing and branding objects, table top, structure or even sound. We are happy to help you choose the best product and combination for your event. Have one of our musicians for a concert, a Reactable creator for a workshop or one of our closest collaborators for a Reactable demo.